At the mention of the test yogurt, most Housewives have associations with pancakes. However, contrary to stereotypes, dairy product will make a beautiful delicate dough for a savory pie. Remove the butter from the fridge beforehand to make it melt until creamy. In a large bowl with a beater or mixer, beat together 2 eggs, yogurt and oil. Add the sugar, salt and soda, powdering them gradually, mix thoroughly all the ingredients. Sift the flour and add it to the dough, powdering in small portions. Once the dough starts to thicken, stop whisking and put it on the floured table. Knead well with hands, ensuring elasticity and softness. Cover the ready dough with a towel or inverted bowl and leave them there for 30-40 minutes. 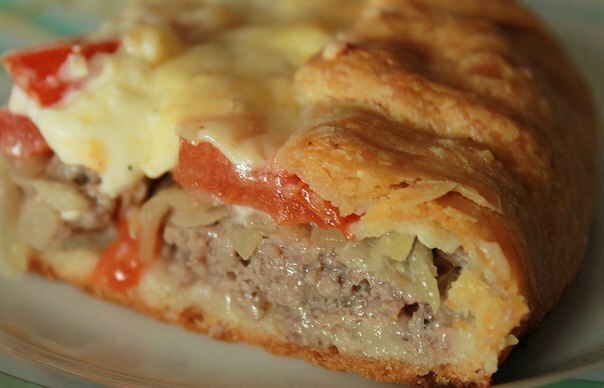 The resulting pastry is perfect for savoury pies with any filling: cabbage, meat, potatoes with mushrooms, eggs with fish. Experiment and find your perfect cake recipe. Start the dough by whisking eggs with sugar. Only after the formation of fluffy foam, add all the other ingredients. Due to this, the cake will turn out very airy and light. If the proposed recipe to put a greater amount of butter, the dough is ready the cake will resemble the taste of the puff. The oil you can substitute same amount of margarine. Add to the dough 4 eggs instead of two. As a result, the consistency will change and the taste of the cake will be similar to the yeast cakes. If preparing the dough is written above recipe, use 3-4 cups of flour, it will be more liquid. This test version is an excellent basis for Charlotte. In a deep dish beat well with a beater eggs with one tablespoon sugar and a pinch of salt. Gently a thin stream add the warm yogurt. Cheese RUB on a small grater and add to the dough. Carefully sift the flour and mix with soda. Small portions stir in the flour into the dough. 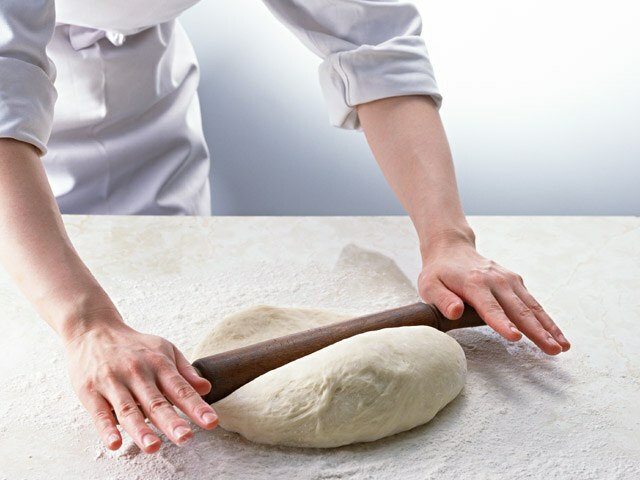 Then knead with your hands, giving the dough elasticity. It should be soft and tender. Cake made from this dough will be incredibly aromatic and delicious. If you don't have time to cook dinner, you can prepare a quick pie. Thus you will save time and will please a family rich cakes. Mix the butter into the flour by hand, until a homogeneous mass. Add the egg, spices and water. The dough mix and place in a glass bowl. Leave in refrigerator for 5-10 minutes. Preheat the oven to 200 degrees. Form for baking grease oil and sprinkle flour. Onion and garlic chop, bell pepper finely chop the tomato, peel and grate. In a pan fry the minced meat with onion, garlic, pepper and tomato for about 10 minutes. Season with salt and black pepper. Add the tomato paste and sour cream. In the finished stuffing chop the dill. In a separate bowl, mix cream, egg, and cheese. Then whisk them with a whisk. Add salt and pepper to taste. The dough is put in the form and be sure to lift the edges. Pierce with a fork around the perimeter and send in the oven for 10 minutes. Then remove the dough and place stuffing on it and spread evenly. Pour over cream-cheese filling. On cake put halves of cherry tomatoes and bake for about 20 minutes. Serve it for dinner a large dish.